Crawfordsville, Oregon is a Class H3 ghost town on Highway 228 or the “Halsey-Sweet Home Highway.” Getting to the town is easy, simply take the Brownsville exit from Interstate 5 and head east. When you get to the covered bridge, you are there. Heading south just after town takes you down into the historic Mohawk Valley that contains towns like Marcola, Mohawk, and Wendling. Crawfordsville was named after Philemon V. Crawford who had helped establish the nearby Boston Flour Mill, now the Thompson’s Mills State Heritage Site. 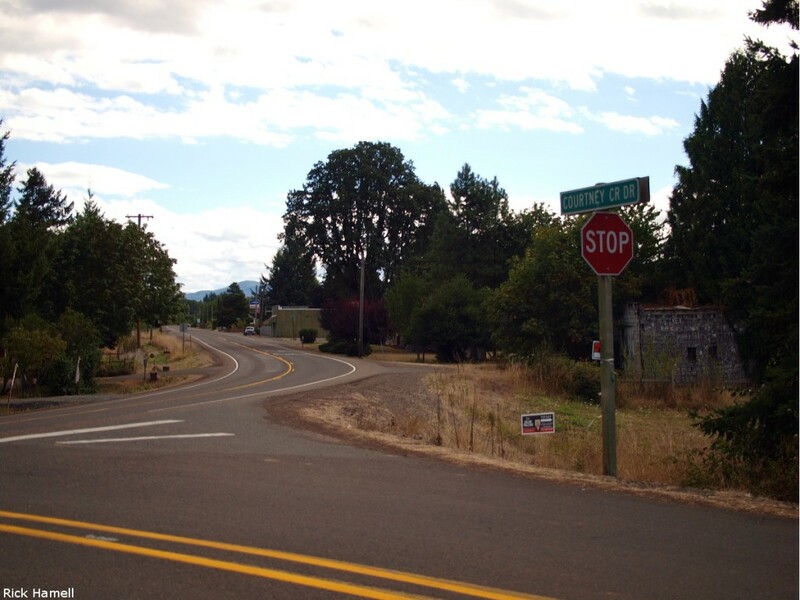 The town is built on his land claim and was founded in 1870 by Philemon Crawford and Robert Glass. Philemon’s son, Jasper V. Crawford was the town’s first post master. Picture of the main street through Crawfordsville Oregon. Louis E Polley talks about how a significant portion of the population at the time was made up of Sikhs from India and Pakistan who worked at the Coast Range Lumber Company near Marcola, and the Calapooia Lumber Company in Crawfordsville. One of these Sikhs was Bhagat Singh Thind, who came to the US in 1913. He worked in the lumber mills to pay for his education at Berkley. When World War I started, he immediately joined the U.S. Army and received an honorable discharge on December 16th, 1918. He apparently came back to Crawfordsville to continue working in the lumber mills during the summer and continued at Berkely. Eventually he earnined a Ph.D. He applied for, and was granted, citizenship in 1920. But the decision went to court where he lost the case United States vs. Bhagat Singh Thind (261 US 204). The judge ruled that Hindus were ineligible for citizenship on February 10, 1923. Doctor Thind completed his degree then traveled the United States giving lectures in metaphysics. He wrote fifteen books and a few years later received his citizenship through the state of New York. Since then the town population has shrunk significantly. The lumber mills and even school are gone. But the town celebrates “Bridge Day” each August, 2014 will be number 82.